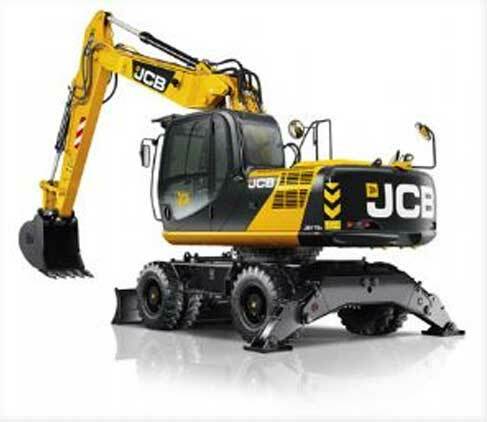 Are you looking for digger hire in London? Our aim is to make your life easier. We have a young and dynamic team who are here waiting to offer you all the necessary advice and equipment to begin your construction plans. M. Teevan Hire is for everyone. On a jobsite, using the right machine for the application can improve efficiency, reduce hazards and increase productivity and we’re here to offer that service. 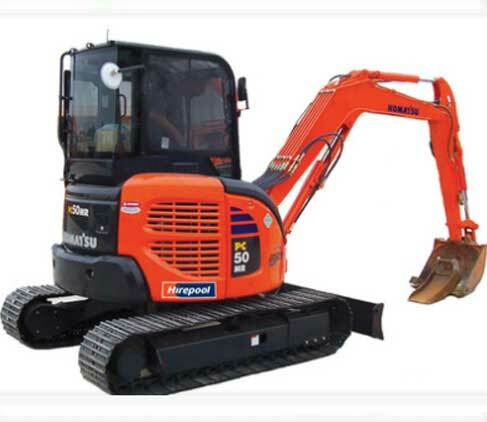 What is it?There is no distinctively noticeable difference between wheeled excavators and track excavators, only that the former uses a wheeled drive and the later a track/treaded drive.Advantages:Wheeled excavators generally have for more versatility. Specific advantages relate to being able to perform most of the work of what a crawler excavator will do, but drive from work area to work area. Regarding the lifting performance, the wheeled machine will lift more because of the stability of the stabilizers. Essentially, you don’t lose as much lifting capacity over the side as you do on a regular excavator, which is important when you are talking about road work. (...)Disadvantages:You lose some digging depth with a wheeled machine because the wheeled undercarriage sits higher than a comparable tracked unit. This also increases the centre of gravity. An operator will need to use caution as to the degree of slope he works on. Off-road traction will also be less with a wheeled machine. In comparison with tracked excavators, you have a better footprint on the ground vs. the four stabilizer pads. Please examine our wide variety of tools and machines and don’t hesitate to email or call us here. Our time would be very happy to assist you in any way we can. What Type Digger Do You Need? 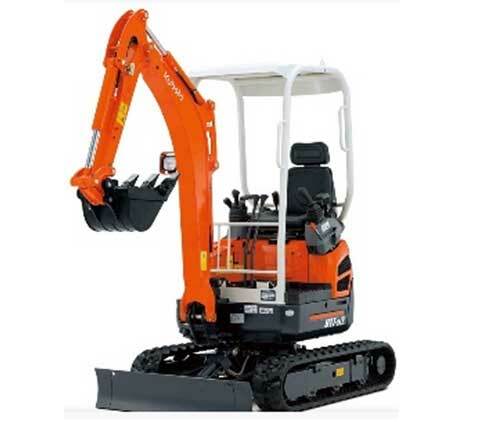 Zero tail swing, also referred to as zero swing or zero house swing, is a specific excavator. The rear of the machine has the ability to rotate at the base or house while remaining within the width of its tracks. This means the cab will not overlap in the path of the machine’s tracks. The main advantage to the Zero Tail Swing Excavator is the fact that it can operate in very tight spaces. Their easy manoeuvrability in urban and residential areas where space is limited has made them incredibly popular. One of the great benefits of a reduced or compact radius [model] is the ability to work in a single lane closure. The excavator also has a decreased chance of damaging property when working close to buildings and other obstructions. Due to its small size, it will not be able to transport heavier loads. Strength and operation are limited, therefore if it’s lifting force you’re looking for, you’d be better off with a conventional excavator. There is no distinctively noticeable difference between wheeled excavators and track excavators, only that the former uses a wheeled drive and the later a track/treaded drive. Wheeled excavators generally have for more versatility. Specific advantages relate to being able to perform most of the work of what a crawler excavator will do, but drive from work area to work area. Regarding the lifting performance, the wheeled machine will lift more because of the stability of the stabilizers. Essentially, you don’t lose as much lifting capacity over the side as you do on a regular excavator, which is important when you are talking about road work. You lose some digging depth with a wheeled machine because the wheeled undercarriage sits higher than a comparable tracked unit. This also increases the centre of gravity. An operator will need to use caution as to the degree of slope he works on. Off-road traction will also be less with a wheeled machine. In comparison with tracked excavators, you have a better footprint on the ground vs. the four stabilizer pads. Again, excavators can come in many shapes, sizes and designs. M. Teevan Hire stocks several different excavators, so whatever your constructional requirements are M. Teevan Hire will be able to provide a viable solution. For the sake of comparison, we shall briefly look at the differences and advantages of hiring a 1.5-tonne excavator and an 8-tonne excavator. Typically used for smaller excavation jobs, such as garden maintenance or small property upkeep. Its small size means it can easily creep into places where other larger excavations would find trouble. Its light weight also means faster movement for quick, easy jobs. Obviously as this is a smaller excavator, heavy lifting and power will be limited. An 8 tonne, zero tailswing midi offers the increased performance of larger machines without losing the access advantage. The engines are clean and surprisingly quiet considering its size and comes with a full-size excavator style cab for operator comfort. Again, the disadvantages of such a heavy machine boils down to manoeuvrability and size. Depending on what excavator you hire, some will compensate on the obvious disadvantages (weight, size, sluggishness) with more room, comfort, power, durability etc. We have a range of mini diggers for hire, so if you need something smaller then check out our mini digger range. We cover the whole of London so if you are looking to rent a mini digger in London give us a call today.